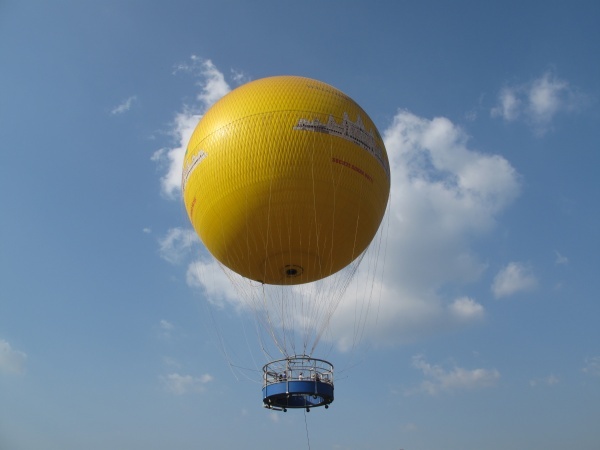 The German made helium balloon is attached to a rope and ascends approximately 200 metres, floats for a while and then descends. 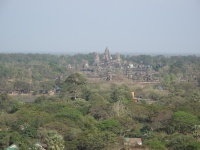 It isn't actually a tour and it only lasts about 10 minutes but it is enough to get some great pictures of Angkor Wat on a clear day. 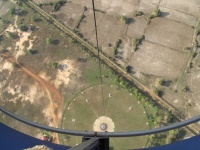 The balloon is owned and operated by Sokha; the company which own the rights to the entry tickets to Angkor Wat as well as many other activities, such as helicopter tours. 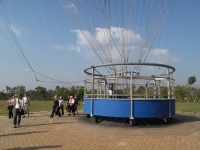 The price of a Angkor Wat balloon ride is US $15 p/adult, children under 12 US $7.50. Khmer adults pay US $7.50, in case you want to invite your driver or someone with you. An advance booking is recommended if you want to fly during sunset or sunrise. This page was last modified on 16 January 2011, at 00:16.